With all the re-engineered pairs dropping, we were wondering when a pack like this would drop, which consisted of one model in it’s normal form, and then complimented by other pairs which were re-engineered. 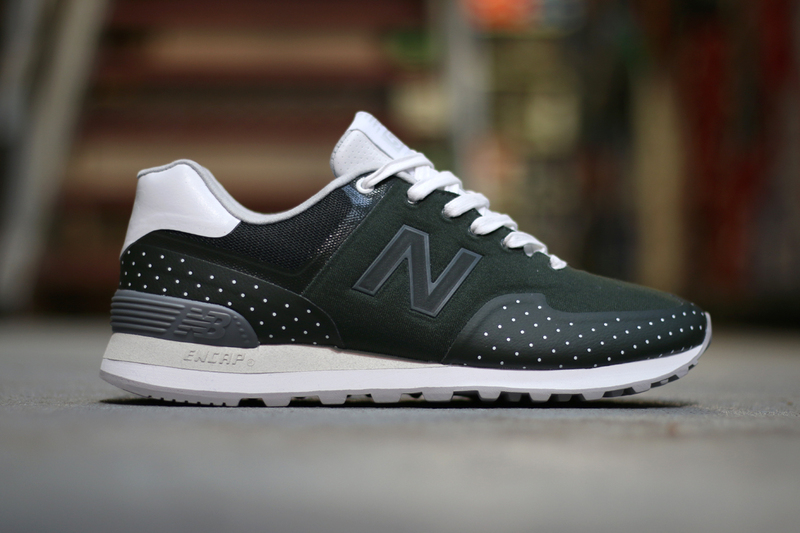 Well here we have it, the New Balance 574 “Polka Dot” Pack, which features three different variations of the 574. 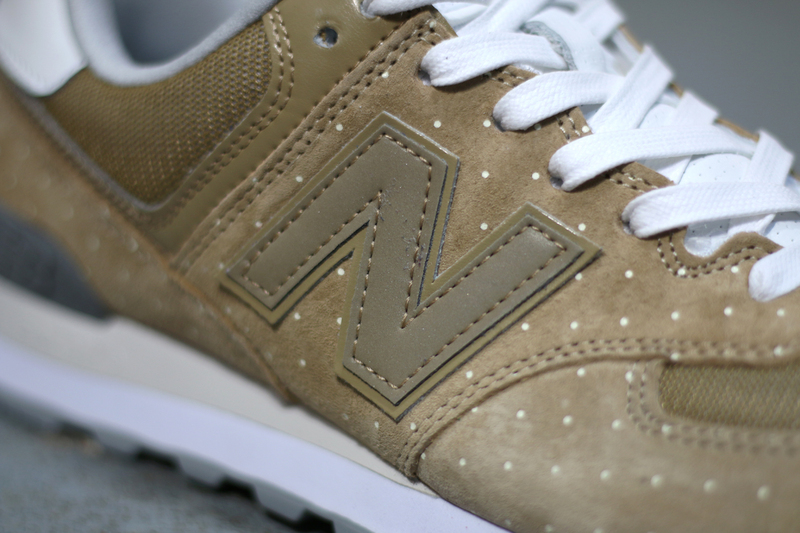 If we take a look at each pair individually, it makes sense to start where it all began, and this is with the New Balance 574 in it’s original form. 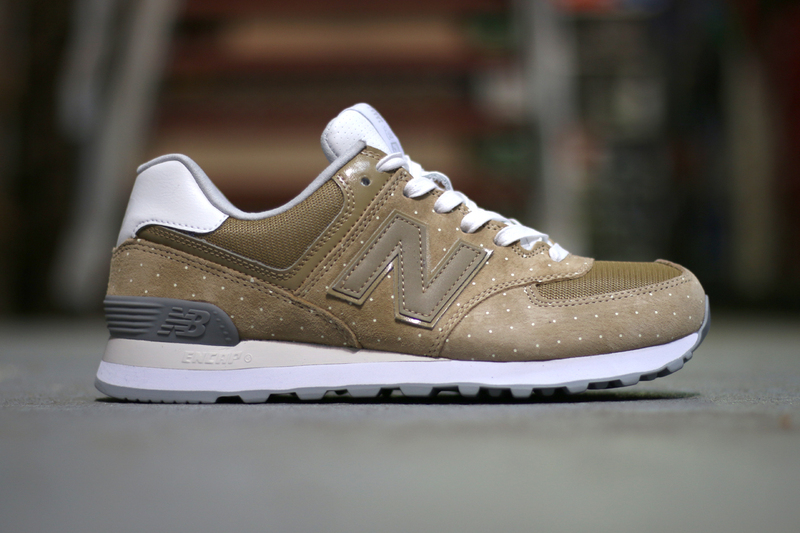 This pair sees the New Balance 574 decked out in a tan upper, with contrasting white, which compliments the white polka dot detailing perfectly. If you want to grab a pair from the “Polka Dot” Pack but aren’t down with the re-engineered side of things, then the New Balance ML574PD is the one for you. 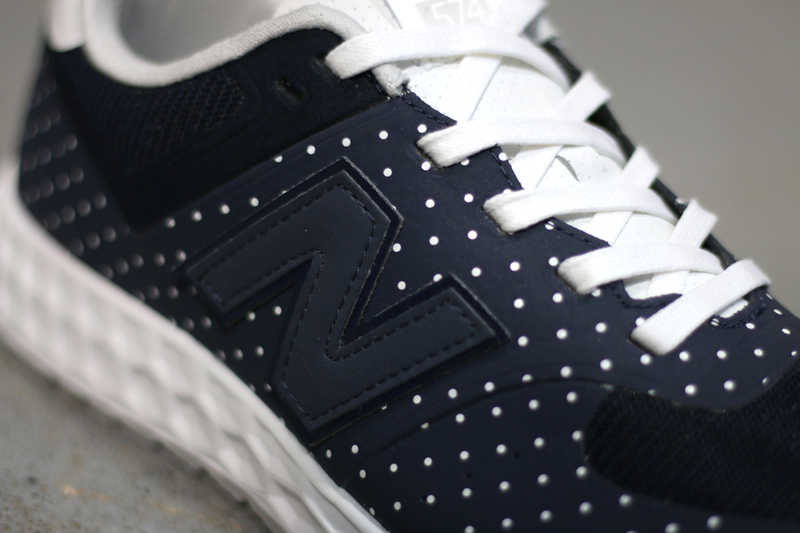 Next up from the New Balance 574 “Polka Dot” Pack is basically a half and half version, incorporating both the original 574 look, but also the re-engineered take on it. This pair gets re-engineered with a really clean seamless upper in black, again with contrasting white, and white polka dot detailing. The New Balance MTL574PD is definitely one of the nicest from the pack, as the 574 is totally transformed when it’s given the seamless upper treatment. Both of the pairs so far sit on top of a traditional Encap midsole, but that changes for the third and final pair. 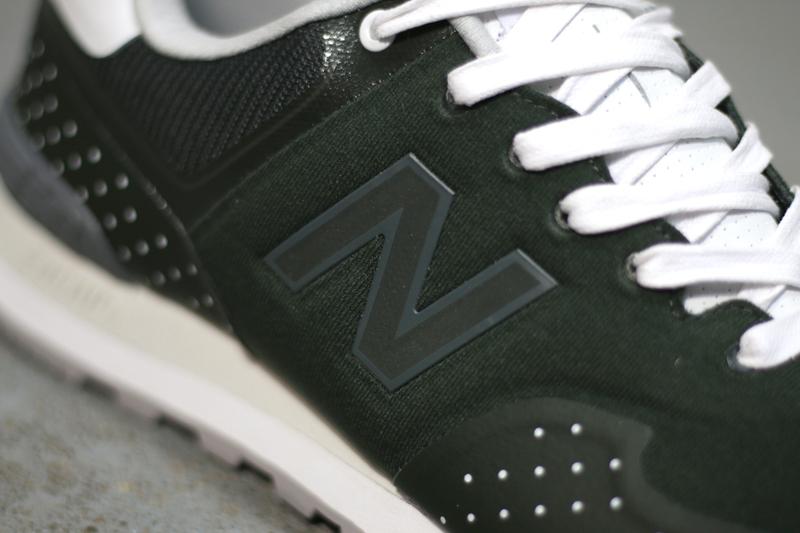 We’ve been singing the next models praises for a few months now, and it is a really exciting iteration of the New Balance 574 for us. 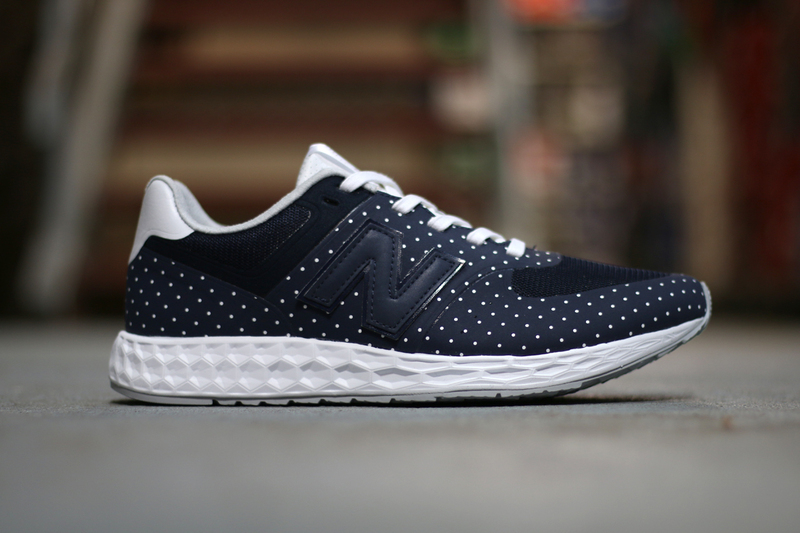 The last pair from the New Balance 574 “Polka Dot” Pack sees the 574 get the Fresh Foam treatment as well as a seamless upper which takes this model to a whole new level. It is decked out in navy, once again with contrasting white, and white polka dot detailing. All three pairs have a grey outsole, which is a nice change from the traditional black, and compliments the uppers of each pair perfectly.